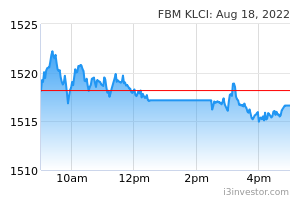 The FBM KLCI (+0.4%) recovered some of its previous session’s losses, taking cue from the positive developments on Wall Street overnight, coupled with the higher crude oil prices. The lower liners – the FBM Small Cap (+0.9%), FBM Fledgling (+0.7%) and FBM ACE (+0.9%) all recovered from their previous session’s losses, while the broader market closed mostly higher. 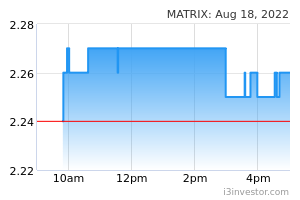 Market breadth turned positive as winners outmuscled losers on a ratio of 523-to-346 stocks. 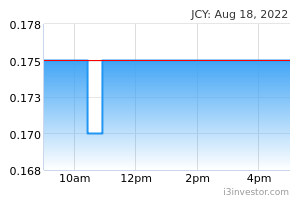 Traded volumes gained 19.2% to 3.02 bln shares amid the resumption of rotational play among the lower liners. Chart toppers on Tuesday were Nestle (+RM1.10), Public Bank (+20.0 sen), Press Metal (+11.0 sen), Genting (+10.0 sen) and Hong Leong Financial Group (+10.0 sen). Anchoring the gainers list on the broader market include BAT (+60.0 sen), Halex Holdings (+19.5 sen), QL Resources (+18.0 sen) and Dayang (+13.0 sen). Alam Maritim added 1.5 sen after bagging a four-year contract to provide underwater inspection services for Carigali Hess Operating Co Sdn Bhd. Notable decliners on the broader market were Chin Teck Plantations (-28.0 sen), Scientex (-19.0 sen), Apex Healthcare (- 15.0 sen), Bursa Malaysia (-8.0 sen) and Spritzer (-8.0 sen). Meanwhile, Hong Leong Bank (-24.0 sen), Petronas Dagangan (-20.0 sen), PPB Group (-12.0 sen), Hartalega (-4.0 sen) and Axiata (- 2.0 sen) led the big board decliners list. Asia’s benchmark indices continue to trend higher as concerns over the global economic growth receded with the Nikkei jumping 1.8%. Both the Shanghai Composite and the Hang Seng Index finished 1.1% and 1.5% higher respectively, buoyed by fresh progress on the Sino-U.S. trade talks. ASEAN stockmarkets, meanwhile, closed mostly higher yesterday. Major European equities closed on a positive note as the FTSE and CAC climbed 0.3% and 0.1% respectively as British Prime Minister Theresa May’s Brexit deal faces a second parliamentary vote. The DAX, however, fell 0.2% after erasing all its intraday gains. After the expected rebound in Bursa Malaysia stocks yesterday, stocks would look to head higher again as they attempt to build up positive momentum after the recent slide. The upward moves, however, are likely to stay largely indifferent as there remains substantive wariness over the FBM KLCI’s direction. As it is, there are still few positive leads, both from corporates and the public sector, to provide the impetus for the key index stocks to make headway. Therefore, any recovery could still be shortlived as firmer catalysts are needed to ensure that Malaysian stocks stay afloat over the longer term. In the interim, the resistances are at the 1,680 and 1,686 levels, while the supports are at the 1,670 and 1,664 levels. Meanwhile, the lower liners and broader market shares are still on their sideway trend with little to suggest a change in their near-term direction. There are still pockets of bargain hunting that will also be punctuated by profit taking activities. 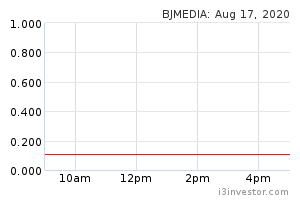 Berjaya Media Bhd 3QFY19 net loss widened to RM8.0 mln, from RM2.5 mln in the previous corresponding period, dragged down by a provision for legal damages amounting to RM5.9 mln. Revenue for the, meanwhile, also dropped 16.4% Y.o.Y to RM6.9 mln, from RM8.3 mln in the same quarter last year. 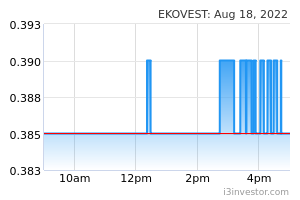 Ekovest Bhd is planning to acquire a 23.4% equity stake in PLS Plantations Bhd - held by Serumpun Abadi Sdn Bhd, a company owned by its executive Chairman Tan Sri Lim Kang Hoo, for RM76.5 mln. The PLS Group has been loss-making for the past three years. 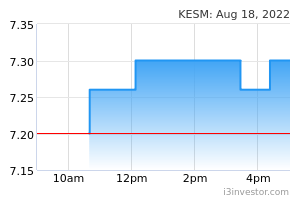 KESM Industries Bhd’s 2QFY19 net profit plunged 95.8% Y.o.Y to RM474,000 vs. RM11.2 mln a year ago, mainly due to lower margins as customers maintained higher inventory control measures, intandem with rising U.S.-China trade war uncertainties. Quarterly revenue also declined 11.3% Y.o.Y to RM81.1 mln, from RM91.5 mln in the previous corresponding period. 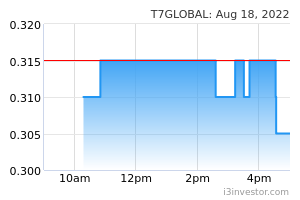 T7 Global Bhd was awarded two contracts - the first contract is to provide splash zone structural repair and maintenance to Petronas Carigali Sdn Bhd and the second contract involved the provision of manpower services to Vestigo Petroleum Sdn Bhd.